We have recently gotten permission to operate tours in the Blackwater State Forest. Our choice of trail is the Red Rock Mountain Bike trail near beautiful Juniper Creek. It is conveniently located within 15 minutes of Adventures Unlimited Outdoor Center and several other campgrounds. This trail is around 10 miles long and is rated for beginner to intermediate riders. 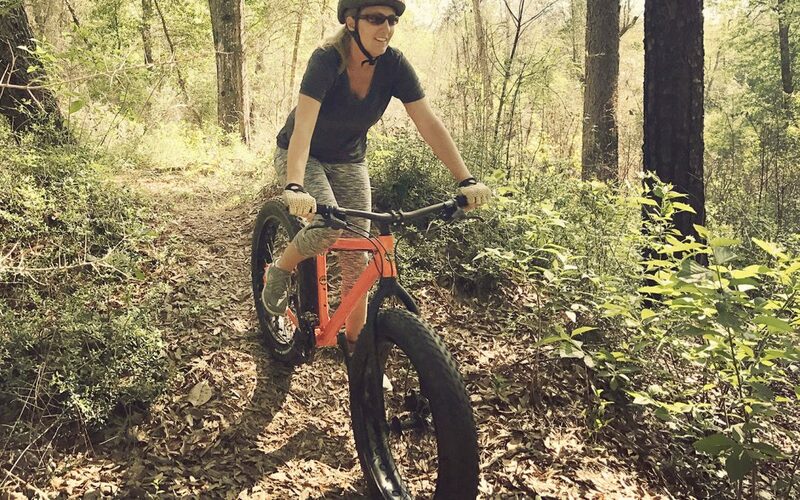 The trail can be made more difficult by riding it faster but the rating is due to limited elevation changes and very little in the way of technical challenges.